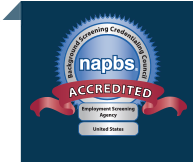 Your pre-employment background screening program is an important part of your overall risk management strategy. All of the risks you are trying to mitigate with the program are human risks associated with employment. Each role exhibiting specific risks and the total risk profile of your organization being based on the sum of the role-related risks. The starting point in assessing your risks is to consider the organization’s mission and function overall. A cash services business will have greater inherent business risk than a line of clothing boutiques, and this will flow down to specific job roles in different ways. Similarly, some organizations are more heavily regulated due to their impacts on the financial system, consumer rights, or potential hazards. The compliance requirements also affect the risk mitigation tactics you can use to manage human risks (e.g., training, monitoring, reporting). Within the overall risk management strategy dictated by organizational function, the goal of human risk management is to identify and analyze potential sources of risks related to each job role. The outcome of this analysis will dictate, among other things, your background screening practices for each job. 1. The degree of supervisory responsibility associated with the job in question. Supervisors, by definition, have greater autonomy to make decisions on behalf of the organization, including making hiring decisions. As such, supervisors are representatives of the organization to a greater degree than ordinary employees, and the higher their position, the more they can impact both actual and perceived organizational performance. Supervisors are more likely to have to meet certification or education requirements, manage internal controls or processes, and/or represent the organization in public forums. 2. The access to people and/or property associated with the position. Access to people or property represent opportunities for an employee to exploit or appropriate value. The risks this represents is heavily dependent on the function of the organization (e.g., nursing homes are vulnerable to abuse; cash servicing businesses are susceptible to cash-related scams or theft), so the opportunity risks are highly variable across jobs. It is important to identify both the likelihood and the potential costs of failures in building a risk profile of job roles. 3. The brand damage that could result from a catastrophic event involving an employee. Not all losses due to human risk are monetary in the simple sense. Organizations have stores of goodwill within their brands that are very hard to build up and all too easy to lose. It is hard to over emphasize the importance of brand value to an organization, and too often it is not factored into the analysis of human risk. Brand damage translates directly into financial performance in most cases, and it can be estimated. The risk mitigation plan should include steps to take if a catastrophic event occurs due to an employee or other person within the organization’s sphere (a customer, a supplier, a partner). These might include public relations, customer messaging, and concrete efforts at restitution if needed. 4. The overarching role of human capital in your organization. Human capital plays different roles in different kinds of businesses. If intellectual property is a core part of your organization’s value, the employees represent a large part of your vulnerability to all kinds of untoward events. If your production process is defined by a predominance of routine, easily replicated, easily taught procedures, then human capital is less important and less costly. The point here is that the potential losses will affect your assessment of the value of the risks, and therefore how much you would be willing to spend to mitigate them. Given the overall risk profile of the organization, you need to determine how high your tolerance of a risk-related failure is. With this baseline, you can plan how to mitigate human risks through your employment screening program. Read more about this in our free resource, The Essential Guide to Employment Screening.